Globalisation, digitalisation, demographics and climate change are transforming our economies and our societies. They provide new opportunities for growth but at the same time increase the risk of deeper inequalities, in a context where these are already high. Reducing inequalities by making growth beneficial for all is the best way to build strong foundations for future prosperity and to give everyone the opportunity to contribute and succeed. To make this happen, equality needs to be considered from the start when governments design growth policies, rather than tackled afterwards through redistribution. Such an ex ante approach can help people, firms and regions fulfil their potential and drive growth, both locally and globally. By better aligning domestic and international policies, opportunities for growth can be used more effectively to provide higher standards for protection of social, environmental and human rights around the world. 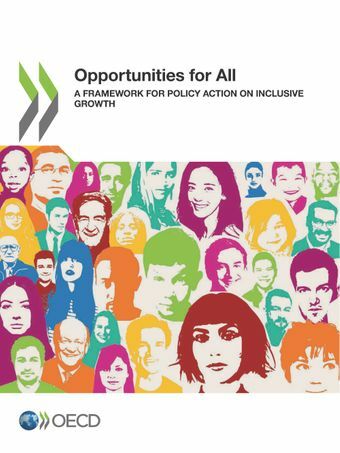 The OECD has developed a Framework for Policy Action on Inclusive Growth to help governments to improve the prospects of those currently being left behind. Using a dashboard of indicators, the framework presents key policy recommendations to sustain and more equitably share the gains of economic growth by investing in people and places that have been left behind, supporting business dynamism and inclusive labour markets, and building efficient and responsive governments.